If you are following my blog,then you must have aware of my latest Streetwear haul from Jabong.com . 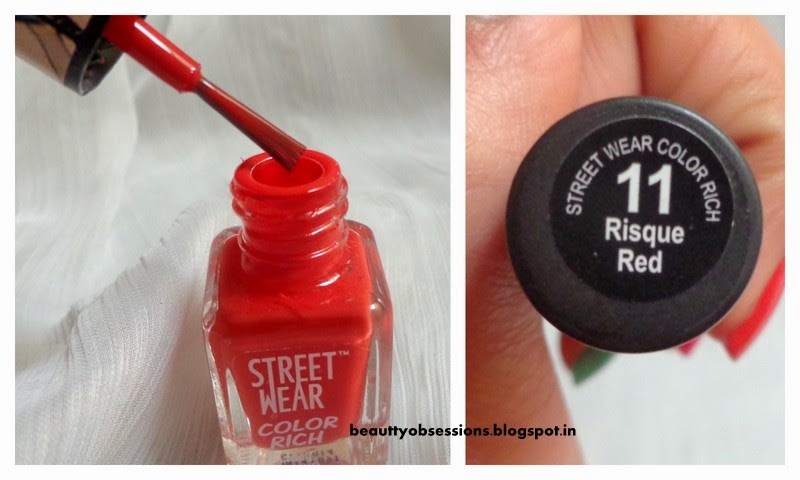 So here I am going write about the four nail paints from Streetwear color rich range.. I am sure you gonna love these cutie pies..
Packaging : The packaging is same like the old color rich nail paints but they have designed the caps really well.. All caps have different beautiful cartoon girls face which makes it quite girlly and funky. The applicator is of good quality to provide opaque finish. The colours are so pigmented like the previous ones. Only one swipe brings good finish,but two swipes brings actual colour like in bottle. I love these tiny bunnies. Price: Rs 60/- for 5ml. Now move on the particular shades..
1- Dragonfly Green: The shade name is quite interesting and unique. 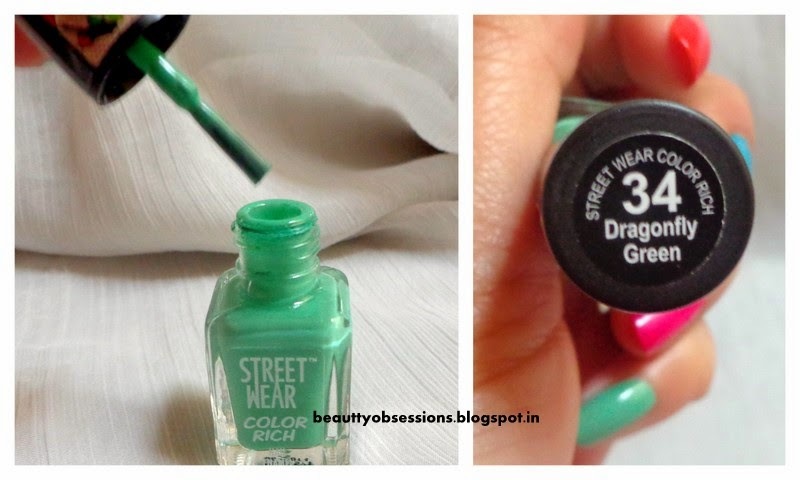 It is a very beautiful teal green shade with matte finish which looks very nice on nails. The texture is like other nail paints. The applicator was a little sticky and weird to apply,then after washing it with remover it is fine now to apply properly. The shade is so pigmented. Two swipes are enough to bring the opaque finish. The shade lasts for 4-5 days on my nails without any top coat..
2- Risque Red: It is a Coral-ish orange shade with matte finish. This shade will look beautiful in fair complexion girls more than dusky ones. This one also lasts for 4-5 days without any top coat. The shade is very pigmented,only one single stroke give opaque coverage. 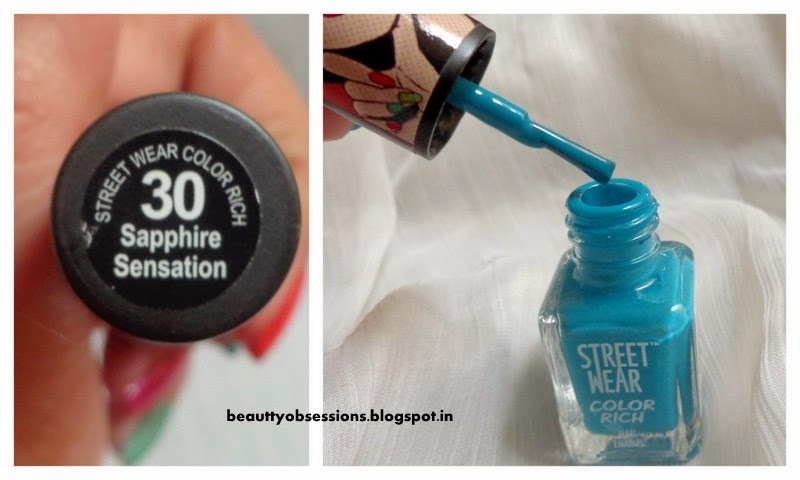 3- Sapphire Sensation: It is a very bright aqua shade which brightens my fingers immediately . This is also in matte finish and is of well pigmented. It stays for 6 days on my nails without any top coat. I love this shade more. I love applying this on my toe nails more. 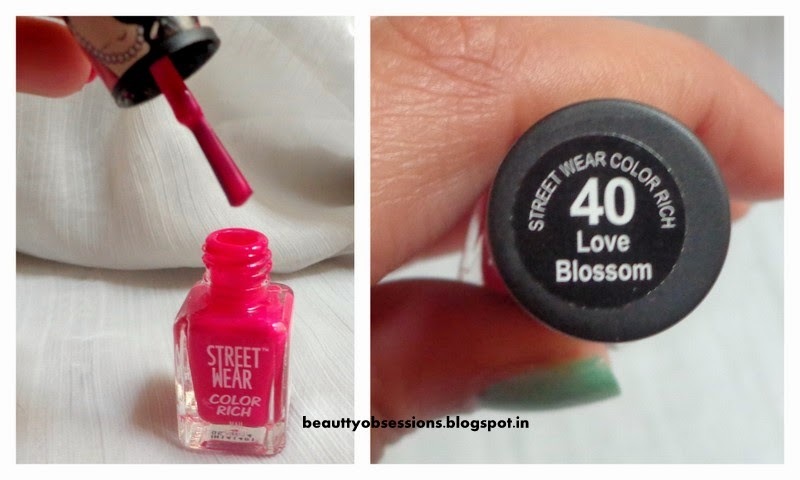 4- Love Blossom : It is a very beautiful bright fuchsia shade with semi matte finish. It looks very very beautiful on my nails and brightens my fingers complexion.. :p . This one is also well pigmented and stays for 4 days on my nails. I love all the four shades.. I bought them in a set of four and with some good discounts from jabong.com.. These are perfect for college going girls and very affordable. Go and grab yours..
Tell me which one is your favourite among them..